So I was thinking putting a classid circuit with a BJT. But then I saw that GPIO output of the microcontroller are configurables in open drain. So would this circuit work? 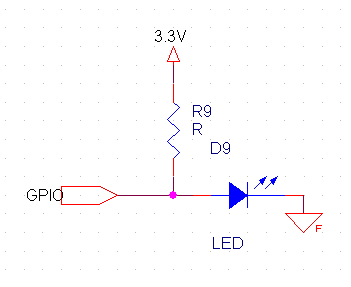 The LED has a 20mA forward current and 2V forward voltage so if R=(3.3-2)/0.02 it should be on if GPIO is HIghZ and off if it is GND no? Press either CTRL + SHIFT + J to open the "Console" tab of the Developer Tools. Press either CTRL + SHIFT + I or F12 to open the Developer Tools. Press ESC (or click on "Show console" in the bottom right corner) to slide the console up.